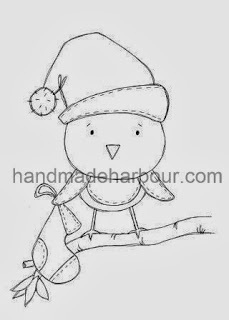 Hi and welcome to Handmade Monday! I've been looking forward to this month's Craftseller magazine, not just because some of my projects made it onto the pages, but because one of those projects is very close to my heart. This vintage-styled handbag (purse for those of you across the pond) has a very special face on the front - my lovely Grandma as a young girl. I'm told this picture was taken sometime after the first world war - in any case it was well before my dad was born in 1928! You may remember I blogged about making this bag a few weeks back. It uses a nifty little fabric that you can print directly onto using your ordinary inkjet printer and the resulting printed fabric is even washable (I've not tested its washability, but the printed fabric is excellent). 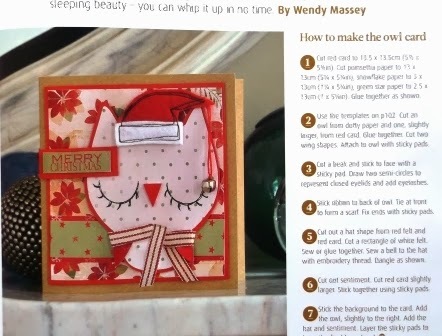 I bought mine from Crafty Computer Paper - and I've since been back for more as this project has given me a bucketload of ideas! 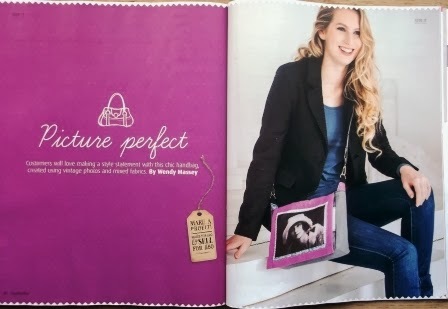 My Grandma would have been so proud - not just because her own face was in a magazine, but because she was always very proud of all her grandchildren's achievements (no matter how small). Also in this issue are a couple of my cards which use Craftseller's free papers. ...but I do want to get some more Christmas digis drawn and uploaded very soon. It's over to you now for Handmade Monday. Are you making for Christmas, or still making for Halloween? 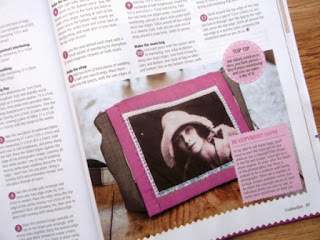 Love the bag with the photo Wendy - I really want to try that idea as it would be so good for my family xmas presents! Ooh yes, it would be perfect for family Christmas presents!! 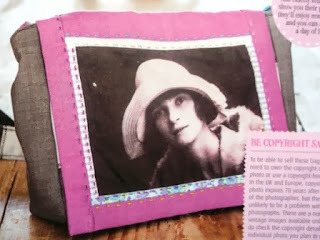 The bag with your Grandma's photo is lovely. It does sound rather fun printing onto fabric with your printer. 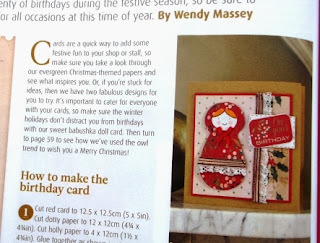 I always enjoy reading new Crafseller and like the little cards with Russian Dolls. 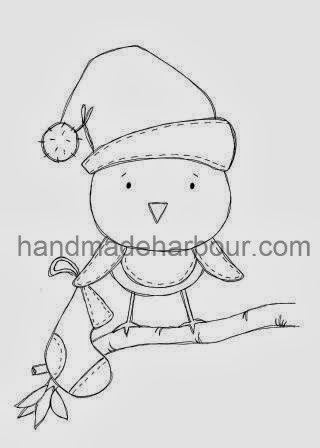 So cute - I'm definitely going to use the paper to make my own Christmas Cards. That fabric looks fun and the clutch is fabulous! such a beautiful photograph of your Grandma and a really fun technique too, i don't have an inkjet printer but its tempting to get one just so i can give this a go! I love the bag, I might have to investigate the printable fabric, I can think of a few things I might be able to do with it. Your cards are fabulous too. The bag is gorgeous!! So special to include your grandma! !